Best Roadside Assistance offers a host of services in both Canada and the U.S., including emergency roadside assistance, lockout services, travel discounts and much more. Best Roadside Assistance charges members by the year through a reasonable membership fee. When you hire Best Roadside Assistance, you are guaranteed a quick response time, which is made possible by the latest software technologies that use your cell phone to identify your exact location. 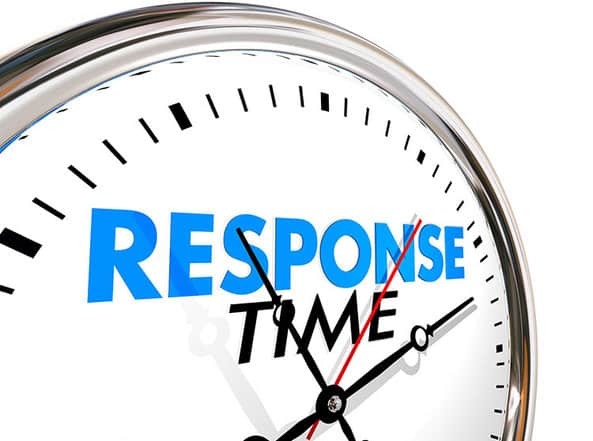 Best has an average response time of 34 minutes, which is fast by any standard. They even send a text message to you in your moment of distress, confirming the arrival time of the service provider. Best Roadside Assistance has an excellent network throughout both the United States and Canada. They have over 45,000 experienced service providers in their vast network, so you are guaranteed to be covered, wherever you are in North America, whether in a large city or a distant town. A service provider will be dispatched to you whenever you need one. Emergency roadside assistance services never close shop or take holidays off. Best Roadside Assistance is open 24/7, 365 days a year. There’s no telling when you might get a flat tire or a dead battery, but you will be reassured to know that you can always call a Best Roadside Assistance service provider anytime, any day. Customer support can make or break a roadside assistance service. All calls at Best are handled by a U.S. owned and operated call center. Your calls are never transferred overseas. Best customer support representatives speak fluent English, Spanish, and French. Let’s look at some of the main benefits to joining Best Roadside Assistance, and how its services compare with the rest of the industry. 75 miles of free towing – This comes with the basic plan and is standard for the industry. Six service calls per year – This is higher than what other roadside assistance services offer. Most emergency assistance services offer 3 to 5 service calls a year. Locksmith reimbursement of up to $100 – This is slightly higher than the industry average. Free fuel delivery of up to 3 gallons – Not bad at all. No sign-up fee – This is a great incentive for new members. Best does not charge any extra sign-up fee, unlike many other roadside assistance companies. There is no limitation on the dollar amount for a particular service call. Best Roadside Assistance handles all service calls, no questions asked. The company allows its members six services calls a year, which is higher than what’s offered by other roadside assistance companies. If interested, sign up as soon as possible, as there is a waiting period for new members. The faster you apply, the sooner you can receive your benefits.